So much yarn, so little time. 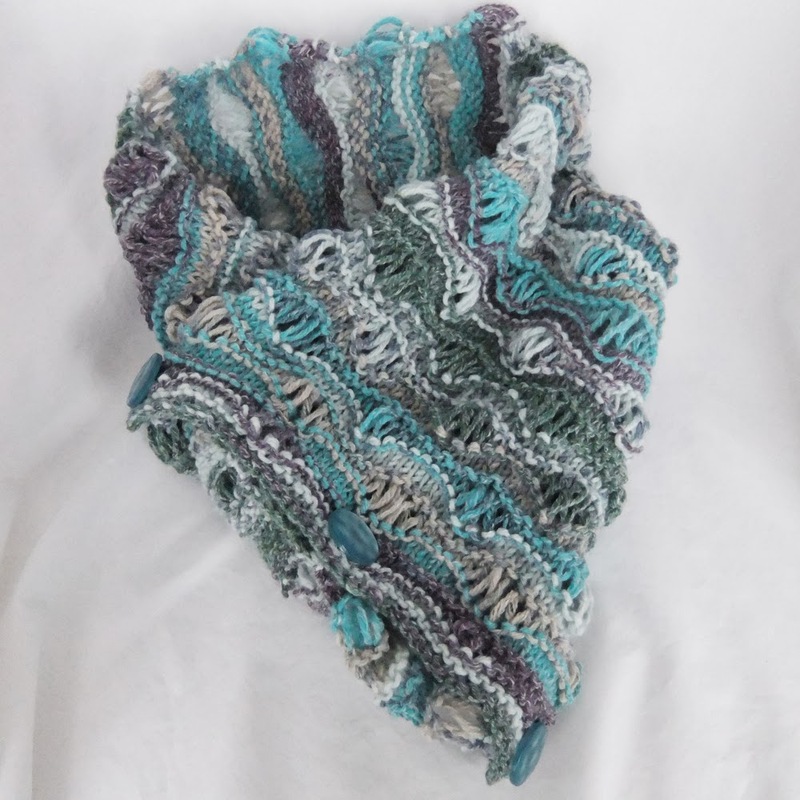 : Ocean scarf for *ME*! I've had a ball of this yarn in my stash for a while, it's from the Sirdar Crofter DK collection and is a "magic" yarn that creates a fairisle effect all by itself. I've even knitted it up twice before but hadn't found a way to show off the beautiful ocean shades and the clever self-pattern effect. Finally I discovered a pattern that would do it justice! 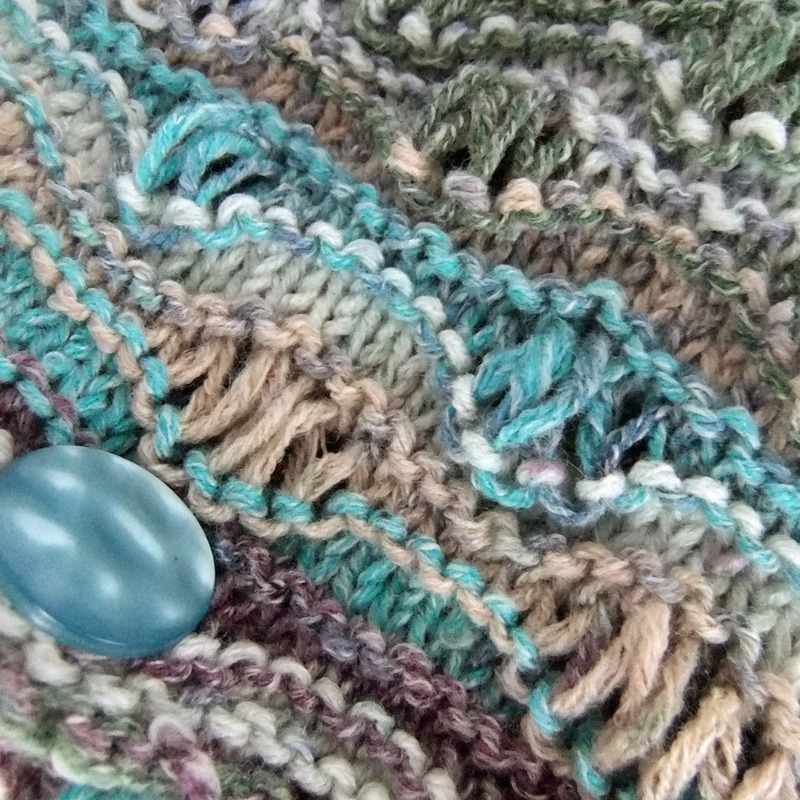 It's by Leslie Lewis, on Ravelry, and is called the Ocean Waves Scarf. I used 45 stitches and basically knitted in pattern until I ran out of yarn. I knew it wouldn't be enough for a normal scarf, so I've added some buttons from my stash and made it into a neckwarmer, joining each end to the opposite edge which means it comes together in a point at the front, just where you need the warmth in a shirt neckline. I love the stripes of sea colours. 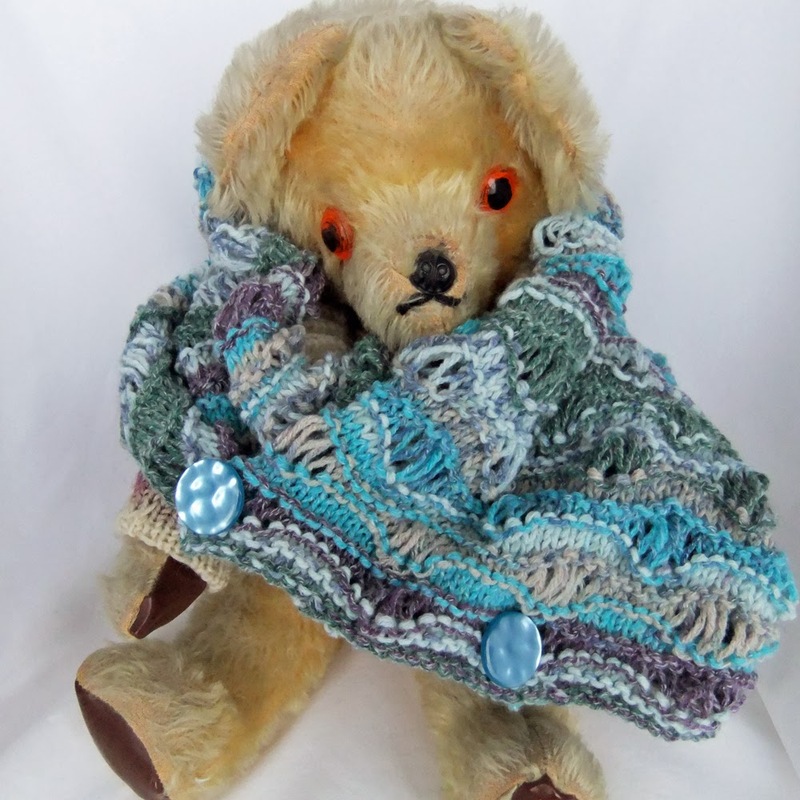 My teddy is a better model than I am!